Please select your item from the drop down menu. 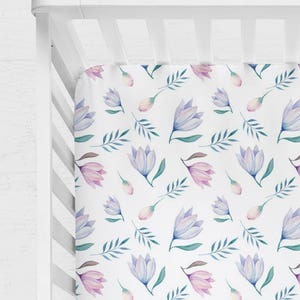 With the idea of singularity and quality in mind, this organic nursery bedding are made just for you to ensure your little one will be comfortable and fashionable in their nursery. 100% Kona® Cotton Ultra, Premium medium weight fabric. Crib sheet's elastic fully encased around the entire edge, Our sheets are serged in the four corners for a professional durable finish. Fits standard mattresses measuring 28"x 52”. Extra plain fitted sheets are available at discounted price to add to your bundle! Please write in the note after purchase the dimensions of your mattress to assure a good fit as there are so many different kinds of cradle. 44"x36". Please indicate the minky color you would want in the notes when you checkout. I suggest going for a basic color so it passes well through time. Featuring the beautiful print on top and minky at the bottom. Please include the sizing at checkout. Full Minky option available. Price is for one only. Please add to cart the amount you need along with the exact measurements. 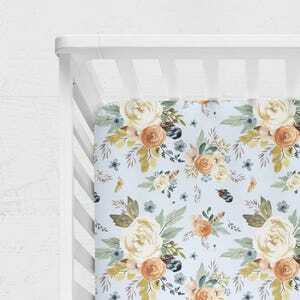 Top will be the print and under will be soft minky to protect that beautiful crib you just bought! The cover is made for a contoured 2 sided changing pad cover size, 16 x 32 inches. Changing pads vary in size, please include the dimensions of your changing pad at checkout if they differ. Also available in Minky! The crib skirts are only in flat or box pleat style for the moment. Note that you can always match with different fabric from the rest of the shop. We can also tailor a custom order just for you that will fit your style. 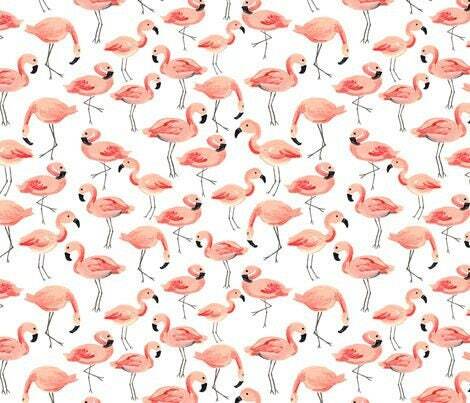 I.E If you want to put a more "plain" fabric to match with the prints. The price is for a 3 faces one. If you want pricing for a 4 face one or a crib skirt make out of canvas cotton, which gives a more professional look, please inquire. All bedding is machine wash cold at normal cycle with like colors and machine dry. Handmade in a smoke-free studio. Don’t be shy to request a custom order! We like to offer bundle pricing for multiple items. 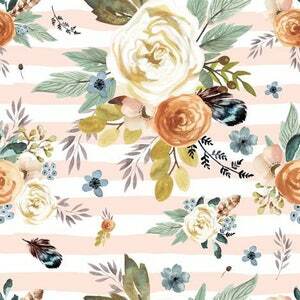 P.S Please check out the other fabrics available! Makes a great shower gift, you can never have too much of nursery bedding, especially sheets or changing pad cover! To fulfil your order, you must provide me with certain information (which you authorized Etsy to provide to me), such as your name, email address, postal address, payment information, and the details of the product that you’re ordering. You may also choose to provide me with additional personal information (for a custom order of bedding, for example), if you contact me directly. I may store and process your information through third-party hosting services in the CANADA and other jurisdictions. As a result, I may transfer your personal information to a jurisdiction with different data protection and government surveillance laws than your jurisdiction. If I am deemed to transfer information about you outside of the EU, I rely on Privacy Shield as the legal basis for the transfer, as Google Cloud is Privacy Shield certified. My turnaround time can vary depending on your order, please inquire with me beforehand if you need it quickly. First come first served, it is possible for me to charge you a "rush fee" if you need it very fast. All my sizing is according the standard crib mattresses and change pad covers. Don't be shy to inquire about a different size, although most of the time it is pretty much similar, i.e American vs European size. All bedding can be washed in cold and warm water, drying in temperature you like. Note that cotton prefers to be washed and dried in colder temperature. All the blankets are pre-shrunk to guarantee they won't lose their shape. I always use a gentle detergent for babies. Crib skirts and crib rail covers are dry clean or spot-clean only. We don't offer this at the moment, but we can make special request happen with an extra fee. Please inquire. Kona Cotton is, as you guessed, made of 100% cotton. It is medium weight cotton which will persists through all the washing. and shows vibrant colours. Minky is made of 100% polyester. Warm and extremely soft, it also shows very vibrant colors. Note that our Crib Blanket and Double Minky Blanket are all made of a Dimple Minky backing.